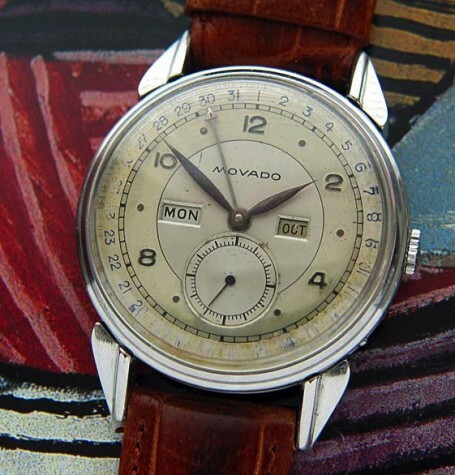 Steel cased Movado vintage watch, with original dial and triple date complication. 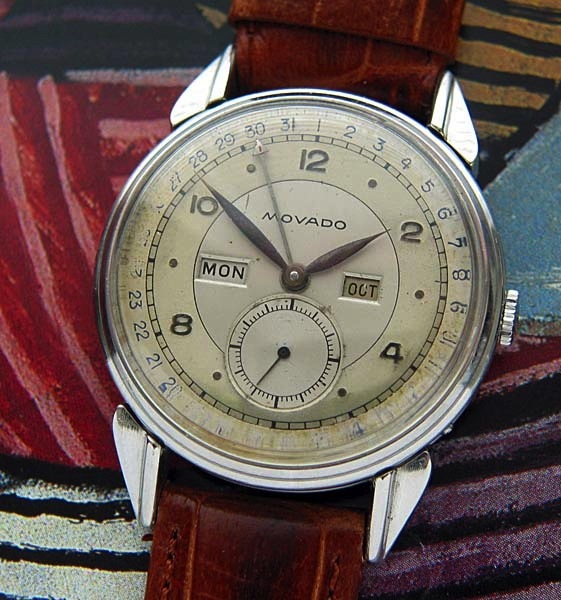 This vintage Movado watch is unusual and rare compared to most other triple date complications you see from Movado. 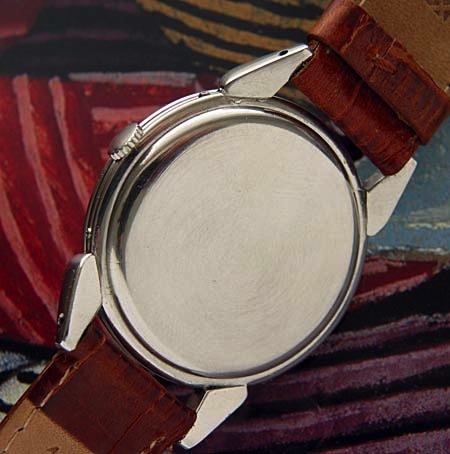 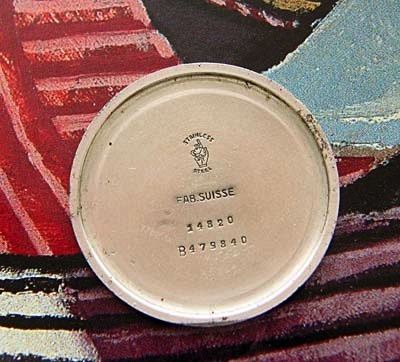 Most of the other triple date watches you come across were either gold-filled cases or if steel, they were smaller than this example. 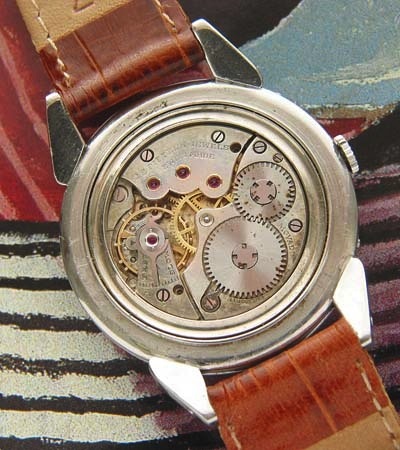 The other unusual feature of the watch are the stepped turtle shaped lugs, a very attractive visual feature. 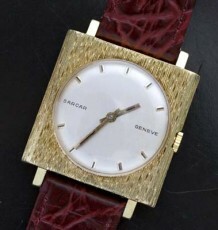 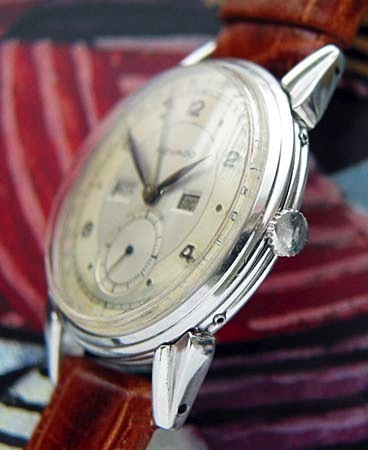 The dial of this stunning watch is all original and in very good condition. 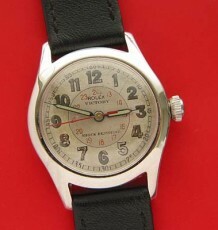 Note the multi toned sections of the dial. 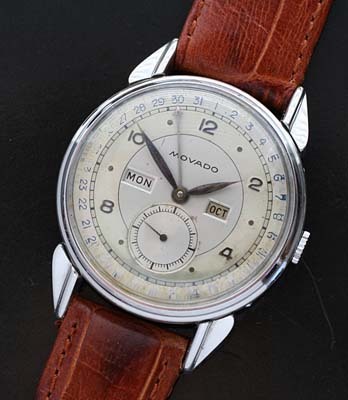 The watch is fitted with a 15 jewel Movado movement which was just serviced so all the functions of this complication wristwatch function as they should and the watch keeps great time. 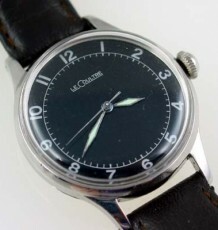 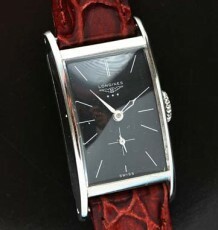 The steel case measures 34.5 mm wide by 43 mm long and is supplied on your choice of black or brown leather straps.